Today’s townland is Craigarusky, County Down. I’ve visited several townlands in this area, near Killinchy, on the western shore of Strangford Lough, blogging from Ballymartin, Ballydorn and Killinakin. Maybe I overlooked Craigarusky because I was distracted by the lough views from the other townlands. But it has its own charm. 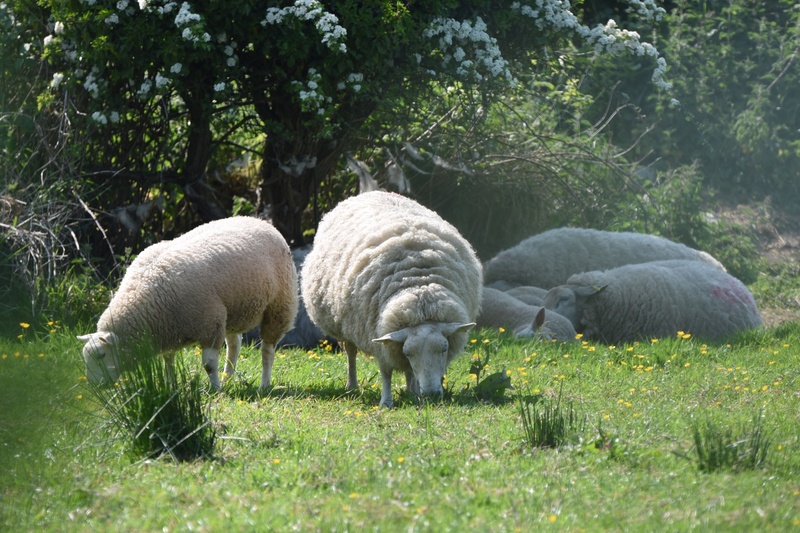 The Craigarusky Road runs right through the townland, and from it I photographed these sheep. Craigarusky lies inland from Ballydorn, with the Killinakin Road forming the boundary between them. 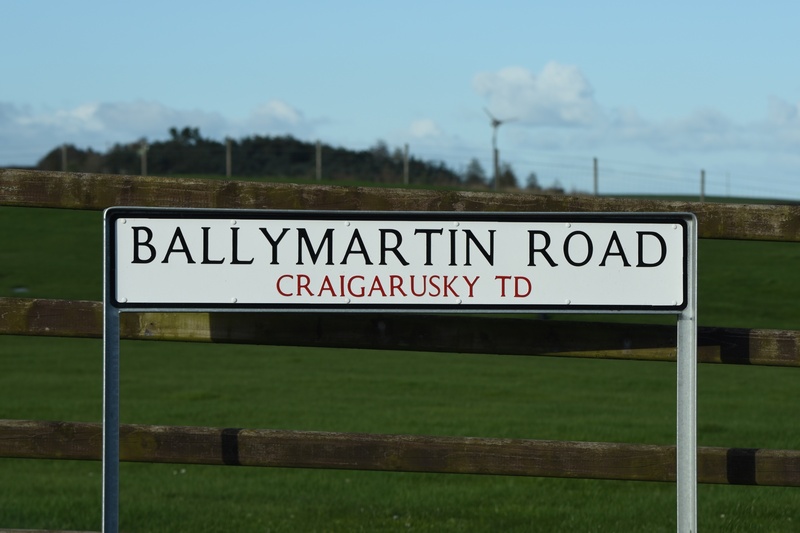 The other “major” road is the Ballymartin Road, which starts in Craigarusky, and then heads north into Ballymartin townland. 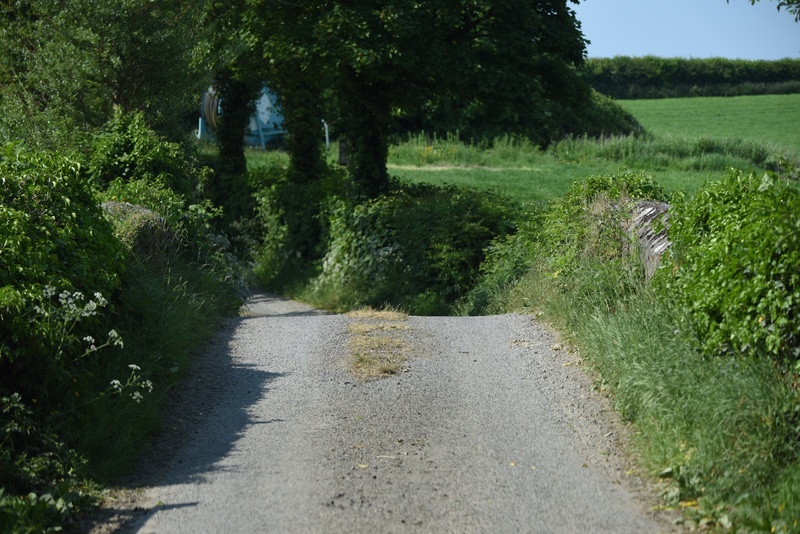 The boundary between the two townlands comes at this bridge. Now you see why I put those quotation marks on “major”. According to the PLACENAMESNI website, the name Craigarusky comes from the Irish Carraig an Ruscaigh meaning “rock of the marsh”. 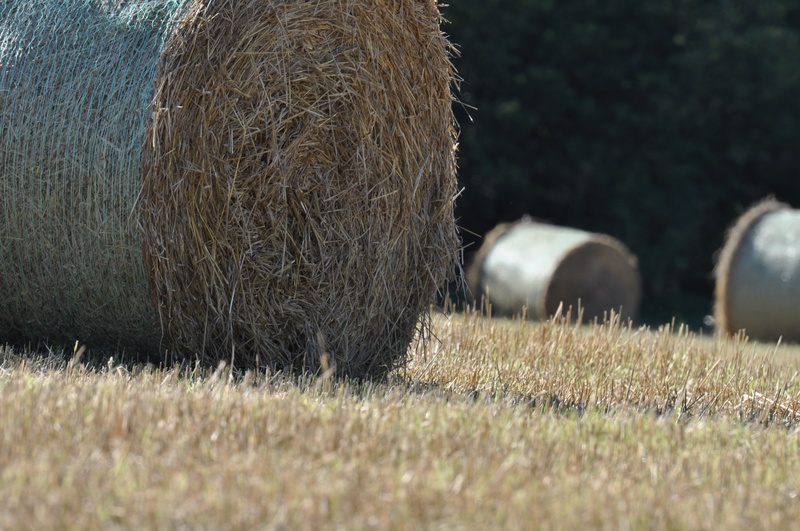 It’s not the only place in Ulster with a boggy derivation – other examples are the townlands of Moyrusk and Tullyrusk in County Antrim, and three townlands called Risk. I don’t have photos of the potatoes, but I do have two harvest photos, taken in Craigarusky in October 2015…. …. and in October 2016. In the graveyard at Killinchy Presbyterian Church I found two headstones for Craigarusky families, both spelling the townland name with an extra “e”. Which other townlands border Craigarusky? To the north, the townland of Ballymartin. To the east, Ballydorn and Killinakin. To the south, Killinchy. To the west, Balloo and Ballyministragh. Click here to see a map of Craigarusky on Townlands.IE. 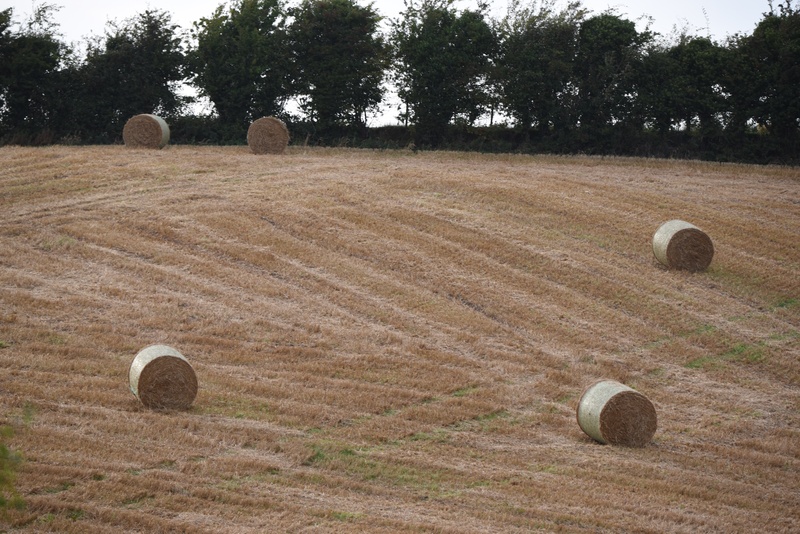 Finally, click here to read more about the townland name on PLACENAMESNI.org. By coincidence that’s one of my family gravestones. 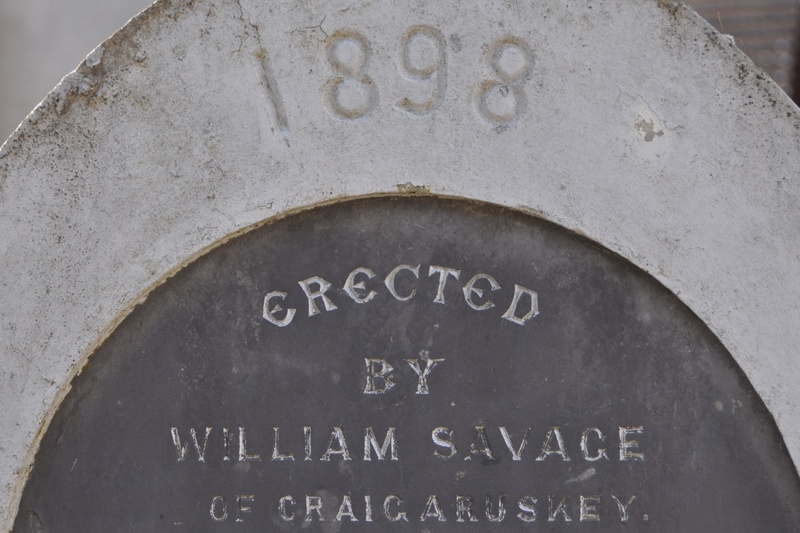 William Savage was a master stonemason who married my grandma’s twin sister. That’s a great connection – I’m glad I just happened to spot that particular stone. I am a relative of William Savage as well!